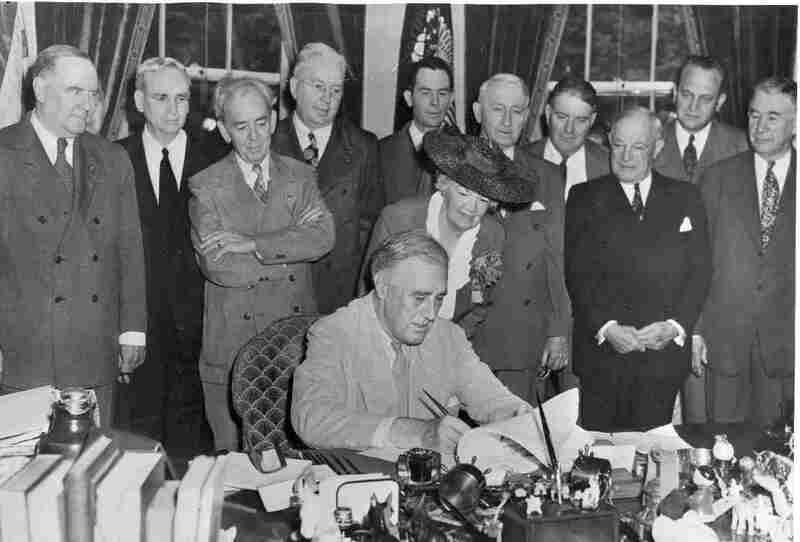 Acknowledged as one of the most significant pieces of legislation ever produced by the U.S. federal government, the Servicemen’s Readjustment Act of 1944 – commonly known as the G.I. Bill of Rights – was designed to provide recently de-mobbed members of the American armed forces with the opportunity to avail of a wide range of educational opportunities, with the fees for such courses, and associated living and subsistence costs, paid for by a grateful U.S. government. It was a radical piece of legislation, and marked an equally radical departure in U.S. social policy. The response to the Bill was immediate, and, from the point of view of the U.S. education system, overwhelming. With the American colleges literally bursting at the seams – and with medical schools in particular receiving forty applications for each available college place – the Veterans Association which administered the scheme sought out universities in other English-speaking countries (specifically Canada, the United Kingdom and Ireland) which would be prepared to offer places to veterans who were eligible for G.I. Bill funding. This paper will examine the experiences of the American students who came to study Medicine at the only Irish college to be approved as an accredited school for G.I. Bill medical students in Ireland – University College Galway . It will examine the impact of the arrival of the American students on a small medical school in the West of Ireland, the manner in which they responded to, and in turn influenced, the type of medical training received under the Irish system, and will assess their impact on the university as a whole, and on the city which was to be their home for five years.